Description: Lone dog runs across with stick in mouth and lies down. Wilderness. 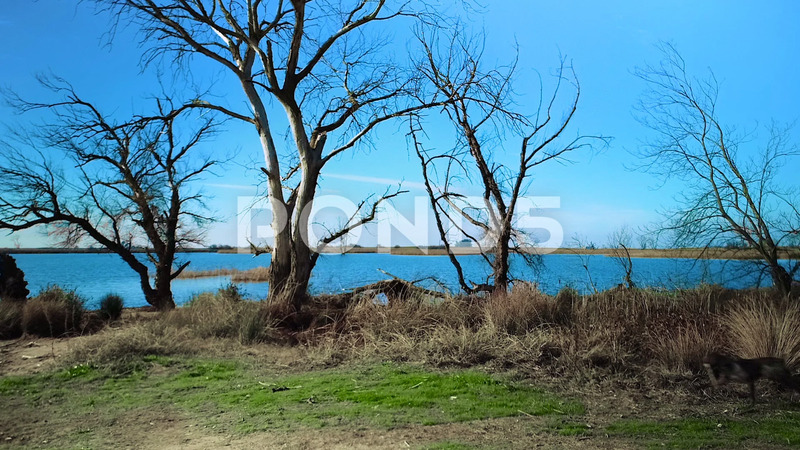 Dead trees and lake in background.